There are dozens of startups building various pieces of the “smart home,” but Boston-based Ecovent is starting in unusual place: heating and cooling vents. The company today said it raised $2.2 million from angel investors to speed up production of sensors and vents that make homes more comfortable and energy efficient. The year-old company was hatched at MIT’s Sloan School of Management and incubator Techstars. Ecovent makes sensors that plug into electrical outlets and “smart” vents equipped with motors and a wireless chip. Using a smart phone app, people can create temperature settings for individual rooms for forced-air heating and cooling systems. The vents adjust the airflow to control temperature. The system uses algorithms to optimize the comfort level of each room—making the guest room cooler and the living warmer, for instance—drawing on data, such as temperature and the flow of heat through homes. Ideally, it connects to a wireless thermostat, says CEO and co-founder Dipul Patel, a former Lockheed Martin engineer who started the company while at MIT. 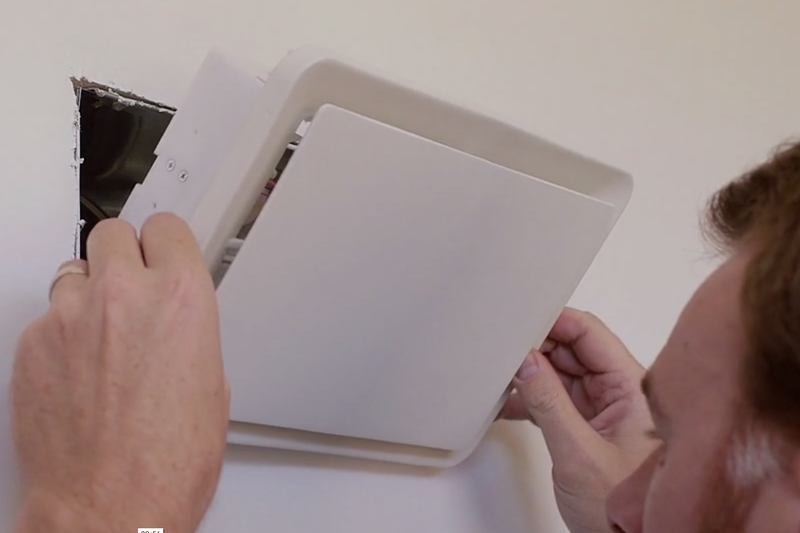 In beta tests, Ecovent has found that adjusting vents can cut energy usage from 20 percent to 40 percent. In the world of home energy efficiency, that’s a dramatic improvement, but Patel notes that actual performance depends on the home and usage pattern. When he worked at Lockheed Martin in New Jersey, Patel turned off vents in spare rooms to save money for a wedding, which gave him the idea for working in efficiency. Later, he realized that the plunge in the price of sensors and low-power wireless chips from smart phones, he and his co-founders could build a smart vent system much cheaper than just six or seven years ago. “It becomes a software game for us,” he says. He estimates that it will cost about $200 to equip a single room. Patel said the entrepreneurial community in Boston and MIT helped him make his personal transformation to startup CEO. “I never thought I’d be in an environment as good as this one. Everybody wants to help and nothing is crazy,” he said. There are many other startups trying to use controls and data to make buildings more energy efficient. Earlier in October, San Francisco-based Building Robotics raised a $5.5 million Series A. The software allows people to use their smart phones to adjust temperature, which is fed into office building heating and cooling systems. Similarly, Boston-based CrowdComfort makes software for commercial buildings that allows employees and visitors to provide feedback on temperature and other building information via a smart phone.